Every day I go to my office or the university I take the metro. I go to the station, get on the train and a few stations later get off to start my working day. It is an integral part of my daily rhythms and it shapes the way I move through the city. 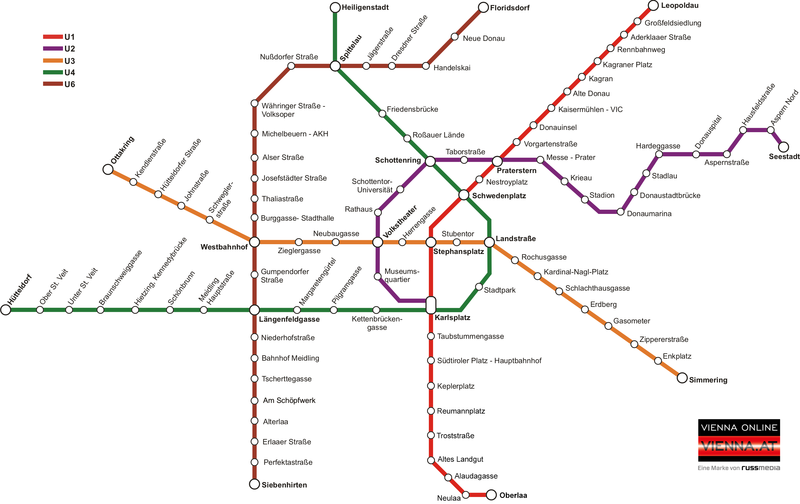 When I moved to Vienna, for a while the first question when arranging a meeting with someone was: What is the nearest metro station? To me the city existed not as streets or houses but as the network plan of Vienna’s Public transport system. Infrastructure is important for our daily lives. Yet, it is not always this visible for us. So what exactly is the role of infrastructures in our society and how do they shape the city and the social lives of users and operators of these infrastructures? Also, how is social structure affected if these important elements of urban life are changing or declining? Since October 2010 Vienna’s Metro is operating at night on Fridays, Saturdays and before official holidays. While this is a major improvement over the transport possibilities via night busses, it also is a change in the rhythms of the invisible maintenance practices. For example, the trains that go at night need coordination and central oversight – changing the shifts of the personnel in the central station. Additionally, the maintenance of the metro system is highly dependent on the rhythms of urban life. Railways of the metro system are usually repaired and maintained in the night hours when there is no traffic. The power supply lines next to the railways need to be shut off during this work to guarantee the safety of the workers. Changing the times when trains are running also changes the times when this maintenance work can be done. As a result, changes in the infrastructure, e.g. a 24/7 operating metro system, would need a rather drastic change in maintenance practices. So far we conceptualized infrastructure as a stable entity. Yet infrastructure is made and re-made over time and needs maintenance in the material sense, e.g. repairing faulty streets, bridges or metro lines (Graham & Thrift, 2007). Additionally, it also needs maintenance in an operational sense. Maintenance and enabling practices do rely on users rhythms and shape them at the same time – like in the maintenance of Vienna’s underground system. What we see in our daily routines is only part of a larger and more complex assemblage of different practices and material structures that make our interactions with infrastructure possible. The word itself guides us to understanding this complex make-up of the city. Infra is the Latin word for beneath, meaning that these processes of constructing and re-making infrastructure are not visible to us. Like we are unable to see infra-red without special devices we are unable to see infra-structure without instruments guiding our perspectives. Although these processes are invisible to us, they are heavily intertwined with the users’ rhythms and routines. Infrastructures are guiding our daily schedules and practices. The patterns of our movement are deeply influenced by the ways how the different sites within the city are connected and how they are therefore gaining importance or centrality within the urban environment (cp. Graham & Marvin 2001). Consequently, the shape of the transport system creates a different understanding of space, which is no longer a spatial dimension. Instead space is constituted as a network of sites, which can be reached from a certain point. The question of which parts belong to the city is no longer a question of distance measured in meters but distance measured in minutes. In this perspective space is an achievement of relations and connecting practices – the city in our mind is a result of our paths and ways through the built environment (cp. Farías & Bender 2009). Highlighting the relations between daily urbanism and infrastructures present within them, we can see that infrastructure is not only creating an invisible network connecting and orchestrating urban space. It is also in a complex way intertwined with the rhythms of our routines. Opening this black box of seemingly as-is aspects of our life, as the metro system or bike lanes, shows how our daily routines are influenced by a wider fabric of practices making and remaking our built environment. Making the invisible parts of the city visible might give us a deeper understanding of social life and the emergent phenomenon of the city. This is the first of two blogposts about the topic of infrastructures in modern societies. The blogposts evolved out of a seminar by Monika Kurath called Reimagining Cities. Assemblages and the Social Construction of Urban Territories held in fall 2015 at the Department of Science and Technology Studies. Farías, I., & Bender, T. (2009) Urban Assemblages: How Actor Network Theory Changes Urban Studies London: Routledge. Graham, S., & Marvin, S. (2001). Splintering Urbanism: Networked Infrastructures, Technological Mobilities and the Urban Condition (First Printing edition). London; New York: Routledge. Graham, S., & Thrift, N. (2007). Out of Order. Understanding Repair and Maintenance. Theory, Culture & Society, 24(3), 1–25. Nikolaus Pöchhacker is currently finishing the MA program Science-Technology-Society at the University of Vienna. Apart form urban STS he is interested in the social and political dimensions of digital innovations and technologies.